The 2011 paper “Tracheobronchial transplantation with a stem-cell-seeded bioartificial nanocomposite: a proof-of-concept study” described a first-of-its-kind procedure: A 36-year-old man with recurrent tracheal cancer received an artificial airway seeded with his own stem cells. The news launched Macchiarini into the stratosphere. And then the questions came. 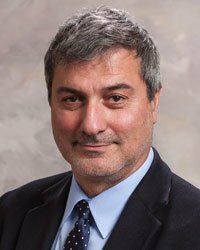 Since 2014, Macchiarini has faced a number of allegations about his work, ranging from failure to obtain proper consent from patients and downplaying the risks of the procedure. The patient, one of the three cited in the complaints, died in January 2014 and spent the last eight months of his life in the Karolinska hospital. Of the other patients, one, an American, died several months after his surgery, and the other has been hospitalized since her operation more than two years ago and requires a procedure every four hours to clean out her airway, according to the complaints filed with the institute. According to the complaints, only one of the patients, the Eritrean man, appeared to have signed a consent form for the operation, and in that case the form was dated more than two weeks after the surgery, according to a copy of the document included with the complaints. To summarise all these special ethical considerations in one sentence, as required by the brevity of a proof-of-concept report, was a challenge, and the passage in question was rewritten many times during the preparation of the manuscript. We realise that the final wording—“the transplant procedure was approved by the local scientific ethics committee”—was imprecise and did not convey the full extent of the ethical coverage. We hope that this note will reassure any concerned readers that such an extensive and experimental treatment, carried out by a large, international, and multidisciplinary team at a prestigious university hospital, was not done without appropriate ethical consideration and consultation. 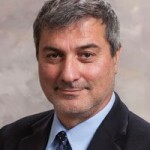 Although Macchiarini’s employer Karolinska Institutet (KI) ruled after an external investigation that Macchiarini’s behavior “does not qualify as scientific misconduct,” the fallout has continued. After a documentary series on Swedish Television suggested he had operated on patients in Russia whose conditions were not life-threatening enough to warrant such a risky procedure, among other allegations, KI said it would not extend Macchiarini’s contract, and ordered a new external investigation. Recently, both the secretary general of the Nobel Assembly and KI’s vice chancellor have resigned over the debacle.